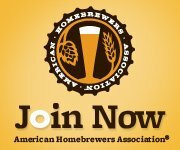 I want to see your breweries! 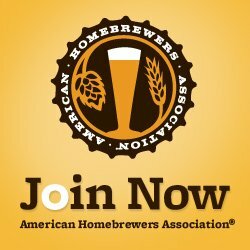 What equipment do you brew with, where do you brew, and where do you serve/drink your homebrew? Does anyone have a cool setup to share? I dont have a picture at the moment but we have a pretty basic setup. Just a 5 gallon kettle, 3 6.5gal fermentation buckets, 1 bottling bucket, a wort chiller, and a propane burner. We’re still only on extract so im sure there will be upgrades in the future! Hey everyone! I’m not quite setup yet. I’ve been brewing since 91 but have been inactive for 6 years due to traveling too much for work. New equipment got shipped a couple days ago, ssbrewtech unitank, Brite Tank, and penguin glycol chiller. Still deciding on what to get for the hot side. Propane, electric, not sure yet. I’m used to propane but we’ll see. That’s some awesome new gear, Ed! I’ve always used propane but have recently gotten interested in switching to electric. Thanks for sharing! 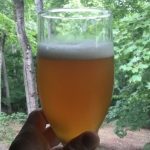 I don’t have a fixed brewery. I brew a lot outdoors ‘cuz I live in the south. I have a Bayou Classic 10 gal. BIAB kettle (stainless basket and ball valve), and a 5 and 3 gal. kettle for smaller extract brews on the stove. Various 1, 2, 3 and 6 gal. fermenters, because I also make wine, cider and mead. And I can get really creative with Everclear. I’m retired, so I have the time now. That’s awesome Roy!!! 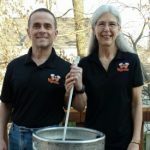 I make cider some but I’ve always been really interested in making Mead and Wine! 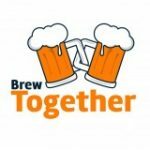 We set up a wine forum on BrewTogether and we’ll set up a Mead one as well – we would love to hear your expertise!!! Pretty basic all-grain set-up – 10 gallon Mash Tun round cooler and HLT given to me by a good friend who upgraded, propane burner, an 8-gallon brew kettle, couple of glass carboys and fermenting bucket. Limited to 5-gallon batches, but smaller batches allow me to brew more often! !